10. Your employees might just be MORE productive. You’re fooling yourself if you think that fire-walling social media sites is a beneficial business practice–it irritates more than it resolves. It’s a commonly held fear that employees will waste time browsing social networking sites, butconsulting firm Towers Watson & Co. found that 41 percent of employees who use social media tools report improved productivity. It’s time to bring the company policy into the present, and move into a more collaborative environment. Social media adoption isn’t just for the innovation and communication groups anymore. 9. Your company culture evolves faster. Being “online” will be even more invisible to the employer in the future than is today, when employes catch up with events on their smart phones. It’s time to start developing a company culture and policy book that can handle a globally integrated world. 8. Your influence becomes stronger. If you were to represent your company’s LinkedIn page presence as an animal, which animal would it be? Using the “number of followers” as a simple metric for social media presence, most companies would rate about at “gnat” in terms of pure animal power. But if you boost your company’s LinkedIn posts through willing volunteers on your team, suddenly you start to look more like a gorilla. 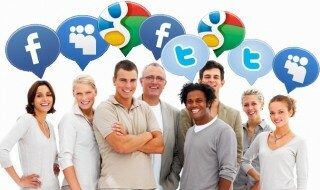 Plus, if your team members are smart, savvy social users, they can mine social groups on LinkedIn and lists on Twitter. Suddenly, you’re the big fish in your industry. Most companies could have 10x the professional reach in their own industry just by training team members to be active on LinkedIn. Learn more. 7. Your network grows. There are two new business users on LinkedIn every second. In other words, it’s growing faster than your CRM database. And it’s much easier to use. 6. Your web traffic quality improves. According to a Wall Street Journal article this year which drew data from the Interactive Advertising Bureau trade group, about 36% of all web traffic is fake–the product of computers that were “hijacked by viruses and programmed to visit sites.” If you spent 36% of your online advertising budget beefing up your social media savvy, could you find a better return in real people per dollar? 5. Your sales improve. Message-trained and enthusiastic team members can make a huge impact in actual purchasing decisions. The public will trust information coming from an individual more than from a company itself. A study this year by the IBM Institute for Business Value concluded that 60% of people say friends’ social media posts influence their purchases (this study was based on 30,554 consumers in 16 counties). By creating company guidelines for social media usage with input from employees, companies can expand their reach without worrying about harm to their brand. 4. Your hiring process improves. Social media is essentially a form of self expression. Business magnate Richard Branson is famous for saying that he hires based on personality. These days, personality can resonate on social media more clearly than through traditional vehicles, such as resumes. If your company eschews social, you’re missing out on essential clues about whom your company actually is made up of—or is hiring. 3. Your pipeline can improve 10% or more. According to Hubspot, social media accounts for a full 14% of pipeline for marketers. If you’re not getting your team involved in accelerating your company’s social impact, how much pipeline are you leaving on the table? That’s not a sustainable business practice. 2. Work productivity and alignment improve when employees and the employer are on the same page. Social media helps ensure this by increasing collaboration among employees and continuous up-to-date information, even across hierarchical structures and multiple geographic locations. 1. Social media creates educated employees. In this day and age, the news spreads faster on Twitter than any news outlet. Major events are live-tweeted and news outlets often share headlines on social media sites before they publish the article on their websites. Employees who are knowledgeable in social media will be equipped with the latest and most relevant happenings in your industry–who wouldn’t want that? Ready to explore real world experiences on making your brand more social? Talk our team today about a social audit.